While working at his uncle’s bakery as a young man, Peter always envisioned running his own business. 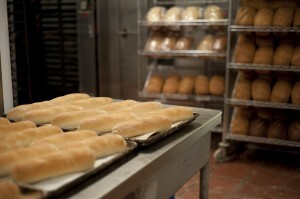 In 1993, he established Ethnic Breads and ran the company with just one employee. When a product gained popularity, the business grew to six employees practically overnight to accommodate the orders – and has continued to expand. 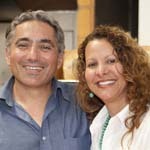 Since then, Peter and Patricia have continually adapted to a fluid market and relied on their creativity and perseverance to not just survive, but succeed. Instead of being discouraged by their bank’s declination of a business loan, the Zadehs turned to WEV’s Loan Program to help grow their business. They pride themselves on gaining the trust and loyalty of their customers, and connecting to the community through their delicious and unique breads.